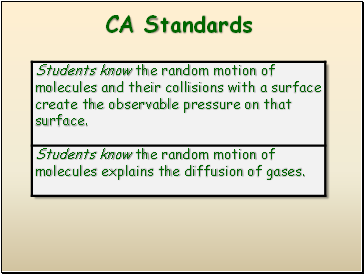 Volume of individual particles is  zero. 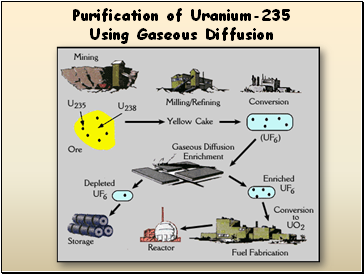 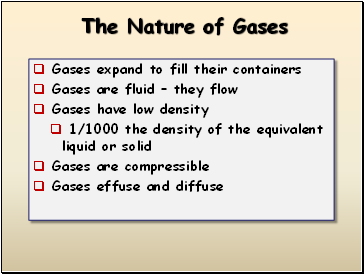 Collisions of particles with container walls cause the pressure exerted by gas. 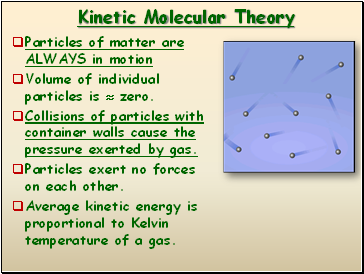 Particles exert no forces on each other. 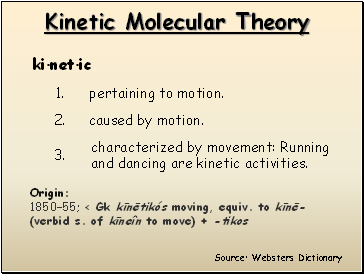 Average kinetic energy is proportional to Kelvin temperature of a gas. 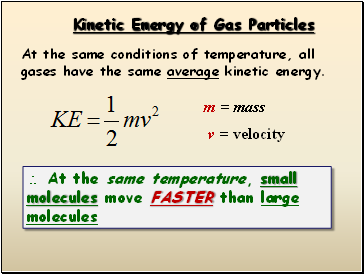 At the same conditions of temperature, all gases have the same average kinetic energy. 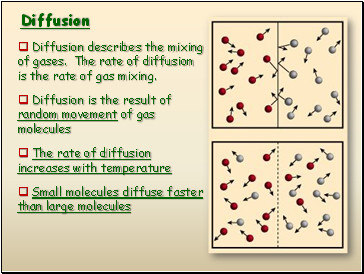 Diffusion describes the mixing of gases. 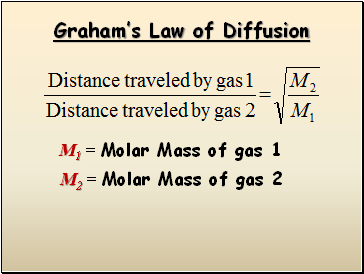 The rate of diffusion is the rate of gas mixing.